Marbella, 9 March 2018. 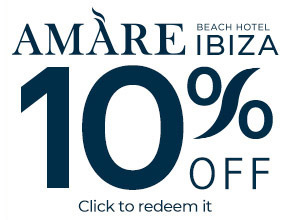 The Amàre Marbella design hotel recommended for adults, with a privileged beach front location just 5 minutes walk from the centre of Marbella, wanted to improve the connectivity service that it provides to its increasingly demanding clientèle. Now, in addition to offering free Wi-Fi in all rooms, it is directly providing a “Handy” telephone that guests can use to make free calls to 26 countries around the world, browse the Internet with an unmetered 4G connection and get details of Marbella’s best cultural and leisure activities, among other things. If you’re the sort of person who loves sharing your holidays with friends on social networks, staying in touch with your family 365 days per year, or taking advantage of a few days at leisure for a marathon viewing of past episodes of your favourite series, there’s no need to worry about your phone bill because when you check in at Amàre Marbella you’ll be given a “Handy” phone. Use it to post as many selfies as you like, to talk to your children, regardless if they are overseas, and to download as many files as you need. And, best of all, you can do all of this for free. Your privacy is guaranteed because the telephone is reset automatically when you check out, deleting all of your activity. Although Amàre Marbella embraces you and will tempt you with the idea of spending all day in its facilities, enjoying the beach, its striking rooms with sea views, wonderful cuisine, its fun entertainment programme, cosy Spa or amazing rooftop terrace – which affords 360º views over Marbella – among many other spaces -, if you decide to venture out to discover all of the cultural and leisure activities that the Costa del Sol’s capital has to offer, you can use your “Handy” phone as a guidebook, as it includes a section of Marbella’s best activities. Finally, if you’re travelling with a group of friends, forget about moving from where you are if you want to talk to them. You can use your own “Handy” phone to chat to them, just by entering their room number. 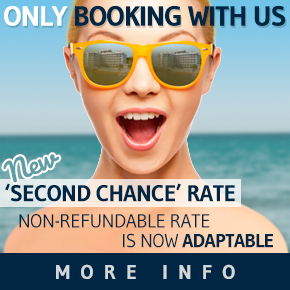 So if you decide to take a trip to Marbella this summer with your partner or friends, stay at Amàre Marbella and enjoy “TOTAL FREE 4G CONNECTED” holidays.